You and a group of friends decide to hit up Downtown Las Vegas for the night. You each get ready and make your way downtown and head into your favorite hangout bar. Everyone is ready to order up their drinks and then it hits you. One of you has to be the designated driver for the night. You all fight about when the last time it was your turn and that it should not be you. Instead of having one person miss out on all the fun, let Vegas Pub Crawler be the D.D. for the night and hit up all the hotspots of Downtown Las Vegas. With a lot of things to do in Downtown Las Vegas that cater mainly to those over 21 years old, the majority of attractions offer alcoholic beverages. Instead of fighting about who the designated driver needs to be for the night, let Vegas Pub Crawler bike you around. With Vegas Pub Crawler, you and your friends hop on a bike and are guided through Downtown Las Vegas to many different bars and restaurants. The only thing you need to worry about is having fun and pedaling between each place. The best way to find the perfect bar for you is to try them all. While on your tour with Vegas Pub Crawler, you’ll hit all the major bars and pub in one night. Spend some time at each establishment and try out the drink selections, you will definitely find some favorites as well as new drinks you may not have heard of. Each bar in Downtown Las Vegas offers up different experiences. Depending on the main theme of the bar, you will meet different types of people at each establishment. This can be a great way to meet some new people or add some friends to the group for your next DTLV bar crawl. When people visit Las Vegas, they are only in town for the weekend. They are not given a lot of time to explore all the best hangouts and attractions. One of the best ways to treat your out-of-town guests to a full Vegas experience is with a Downtown Las Vegas pub crawl. They will experience all the best parts of DTLV all in one night. Vegas Pub Crawler is the ultimate way to bar hop in Downtown Las Vegas. Whether it’s a birthday party, bachelor/bachelorette party, corporate event, wedding or just because it’s Tuesday night, there’s nothing quite like pub crawling via a pimped-out, multi-rider cycle. 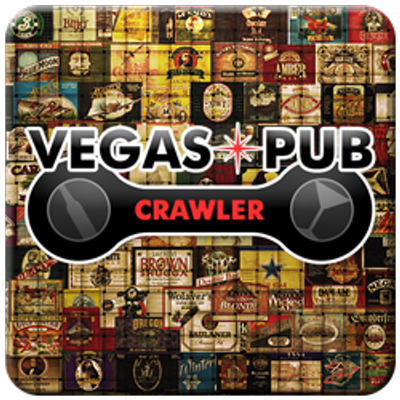 For more information visit http://www.vegaspubcrawler.com.